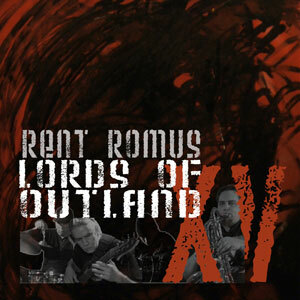 The Lords of Outland is a rotating collective of ensemble members under the direction of saxophonist and producer Rent Romus. Throughout the Lords' fifteen year history in the spirit of free form experimentation its core roster has changed numerous times featuring guests John Tchicai, James Zitro, Kash Killion, and many others. The group currently features CJ Borosque no-input pedals and trumpet, Philip Everett drums, percussion and electronics, and Ray Schaeffer electric basses, lead by Rent Romus on alto, soprano, C-melody saxophones, voice, and electronics. Contained in XV are live public recordings covering a wide range of original jazz and improvisations many of which have never been released from 1994-2008 and, on disc two a new full length project recorded in 2009.